Home / Our Camps / Central Texas Camp & Combine / Thank You Charlie! 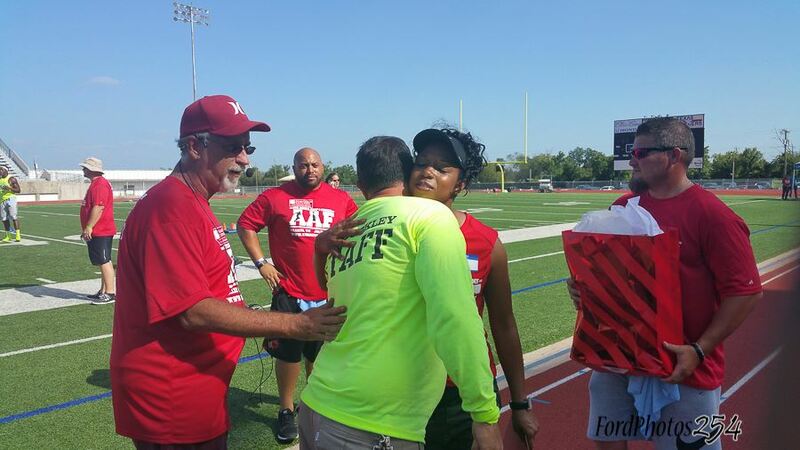 Charles Sorensen was honored at the 6th Annual Central TX Camp & Combine for his dedication to K.I.S.D. athletics and the 6th Annual Camp. 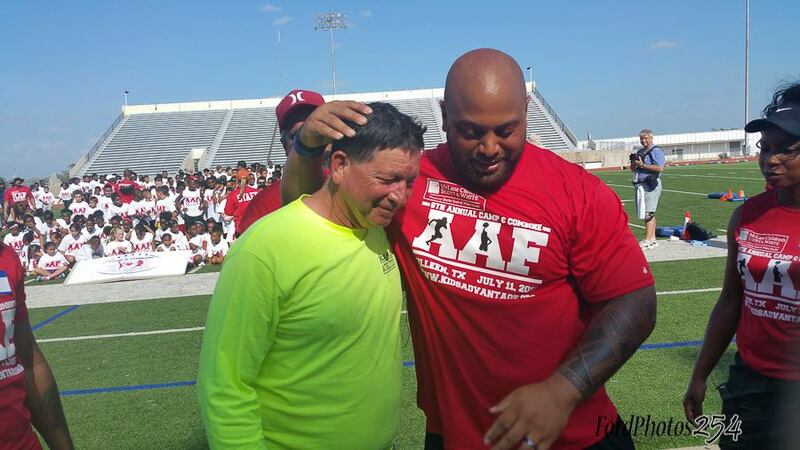 His efforts in bringing the camp off the ground was honored by the foundation and children of Central Texas. Charlie hesitated to accept a warm round of applause but eventually embraced the moment when his campers, of six years strong, cheered the man that poured his blood, sweat, and tears into the camp. Charlie we are very appreciative of all you do for us, the late hours, non-stop motor you have when it comes to doing your part in the camp. With Charlie our camp is more than another day at work, he truly desires to see the camp successful and we were proud to have been on this journey with you. “life has a many different sides to it but you just work and persevere through the tough times, when there are good days you cherish them, you never take them for granted”-Charles Sorensen. It is our hope to pass this way of thinking way to appreciate life down to our campers. Thank you Charlie.